It’s November, and our family is winding down with work. It’s by default for my husband; he just finished with his grapes harvest last Friday, and for me, it’s more deliberately because I want to pause from my 6-month sprint as a newly published Indie author to appreciate my readers, supporters, and to assess and plan for the next six months. What are your plans and thoughts for the rest of the year? For Minimalism, I wrote a blog for those who are starting out or those who need a refresher on maintenance and encouragements. Be sure to check out other blogs on Minimalism to help you with the upcoming holidays too. 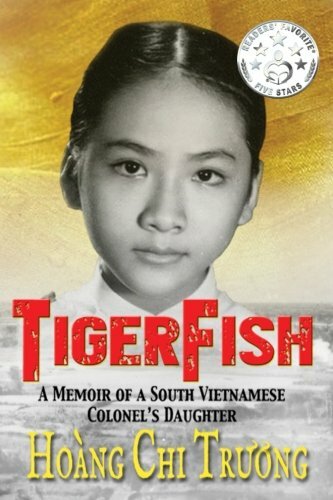 For TigerFish, my memoir where do I begin? I took advantage of a couple of weeks with no Author Events to celebrate my 6-months “anniversary” of being published. I decided to do 600 miles one-way, solo road trip with our Australian Shepard to see my daughter in Western Oregon, not far from Portland, but far enough to be on a ranch. I reviewed my written "Realistic Goals" for three months and 1 year from January of this year, and I’m happy that I’ve reached my One Year’s goals. However, lessons learned are my goals need to narrow down and specify metrics with which to measure my effort and achievements. The highlights of my 6-months as a published author are many but the most heartfelt moments are those of being back to my Alma Mater Hoover High School and Fresno State to present to the students and faculties there. I also had the privilege of being the speaker for History Classes in the Spring 2017 at Kennedy High School, and their PACE Honor Program adopted TigerFish as the Summer reading book for the incoming Freshmen for 2017. I'm equally honored by the New Technology High School's invitation to speak to their 11th Grade English Class about writing and my memoir TigerFish. I’m grateful to be invited to several book clubs, bookstores, and libraries in Fresno and Sacramento, and the Rancho Cordova Rotary Club where I thoroughly enjoyed meeting and engaging on a personal level with readers. It’s a blessing to reach out and connect with incredibly supportive people who believe in my book’s message. I first reached out to Stephen Magagnini at the Sacramento Bee on June 1st this year and persisted on the importance of my book’s message. His article published first on the Sacramento Bee on September 26th and one day later on the Fresno Bee. None of these things could happen without my lovely and thoughtful readers who believe in me and my book. Some went above and beyond and wrote reviews on Amazon and Goodreads so others could discover TigerFish, and I’m incredibly appreciative of their effort! You can help too if you’ve read and enjoyed my book (click on the links above to review TigerFish). It’s one of the greatest gifts that a reader can give an author, or you can read other reviews and give it an “up” vote if you find them helpful. Readers' Favorite also voted for TigerFish as one of 2017 Winner for Young Adult-General Category and their seal of 5-star review. Read it here. Am I writing the next book? Yes, you bet I am, and you’ll be the first to know. 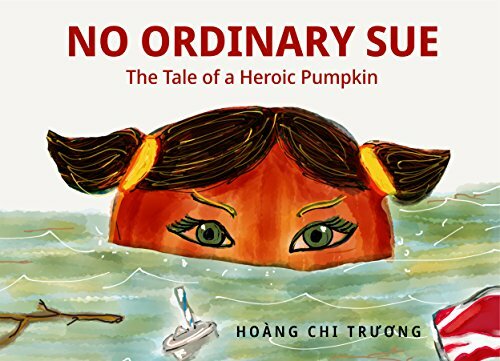 I’m also working on getting a bilingual children’s book and hope to launch it for the holidays. Fingers crossed! Stay tuned.